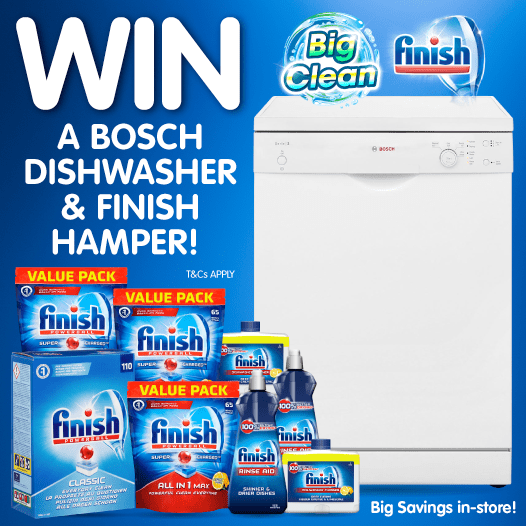 B&M Lifestyle | WINNER ANNOUNCEMENT - A Dishwasher PLUS a Fantastic Finish Hamper! WINNER ANNOUNCEMENT - A Dishwasher PLUS a Fantastic Finish Hamper! Our fantastic competition to give ONE lucky winner a brand new dishwasher PLUS a fantastic Finish hamper, has now finished! Congratulations! We hope you enjoy your dishwasher and brilliant hamper!